So, you are looking into buying a generator but you don’t want one that is going to be so loud it will wake your neighbors. You have come to the right place! Dyersonline.com has many quiet and affordable generator options. At Dyers we stock a variety of generators both portable and inverter generators. Power generators are essential for emergency power but they also power any electronics in your RV. With our generators you will not have to worry about power spikes or surges. You can be confident that when you buy a generator from Dyers you will have clean and reliable power. No more flickering lights. 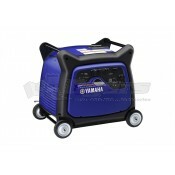 Getting a generator gives you an outdoor power source where ever you need it. Most quality, high capacity generators will give you close to eight hours of power for multiple appliances, while being quiet enough to not cause a disturbance at campgrounds. You may need two generators to run the A/C in your RV, but the portable generators are generally under 50 pounds and easy to store away. A more heavy duty generator will come standard with locking swivel wheels allowing you to maneuver where ever you need. A lot of the new generators also come with smart throttle technology which allows for maximum efficiency. Provide your family with peace of mind don’t wait until you need a generator but don’t have it. When the electricity fails make sure you have a backup to give you power. Another option to consider when looking at a generator is the start up. You can either get a pull start or electric start up generator. The electric start up is very convenient, but can add to the price. It is also important to consider how much and for how long you will need power when deciding which generator to purchase. Some appliances have a higher start up wattage requirement then the running wattage requirement. Make sure to take that into consideration when deciding what generator you need. Feel free to browse our site for more information.